Sunny Side Entertainment has produced another great film that brings home Biblical truth so that children can put it to working in their everyday happenings. 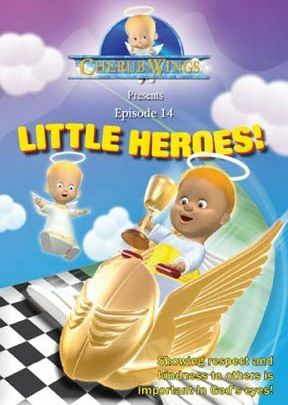 Little Heroes (Episode 14) was a delight to watch. Bright colors enhance the cartoon teaching about kindness and how important it is to God to show kindness to others, whether it's the waitress at the restaurant or the bagger at the grocery store - even the men who pick up the trash. 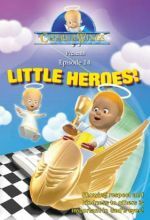 The story line for the illustrated Bible story in Little Heroes was easy to follow and the characters made it fun to watch. There are three songs in this episode. "Do Unto Others" is an animated song with a message of kindness. "Thank You Song" is about giving respect to people working in the service industry. "Serve One Another" is a song that serves as a memory song that is fun to sing along to. 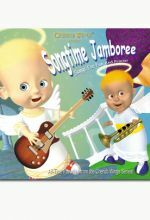 The songs are well done and lively, and they will engage children in moving o the music as they learn them and teach them Bible truths in a way that is fun. grober emanuel malpartida jimenez - querubin episodio 14"mini heroes"
grober emanuel malpartida jimenez - querubin Episodio 14 "Mini Hroes"